Moving can be a quite difficult process. Many people decide not to move since they get confused with the responsibilities. This is especially true when packing your belongings. Most people do not know how to save time when packing. If you keep calm you will be able to finish this quickly. We know this hardship which is why we have gathered information about the efficient pack, so you can save your precious time and money. Time is the most important thing and you should not have to waste it on on such trivial things as packing. When you start to pack your belongings you might think that you can avoid planning and making the inventory. This is a big mistake. When you make an inventory you will be able to save time when packing. This list will specify how many things you take with you to your new house. 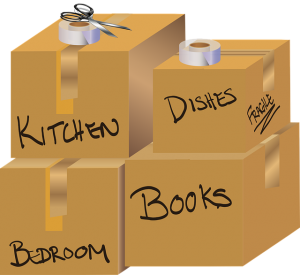 If you know exactly how much you move you will know how much supplies and space you need to relocate to your new place. 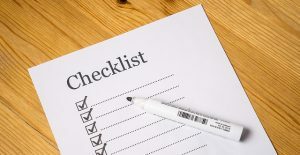 When you properly make an inventory list you will also avoid any risk of losing your belongings. No one wants to lose their precious items, which makes this step of packing very important. When you have no risk of loss of things you will be able to avoid the costs of replacement for these things. 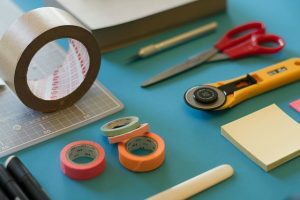 Once you make a list of your things you will know how much supplies you need to be able to save time when packing You will need to get the right supplies to make your move an easy one. You will need boxes, it might sound inefficient but get more than you think is enough. This is done so you do not have to go to the store to get more if you lack boxes. If you back and forth to the store you will lose a lot of time. After all that get some wrap, old paper. You will need this to wrap your breakable objects in them. This will help you avoid any damage to your fragile items. These are just a few basic supplies you will need, you can get more creative but these things are the most important supplies you will need. If you want your things to be well organized and you want to know exactly where is what you need to label the boxes. Do not get overwhelmed this process isn’t very hard. First get some labeling supplies. There is a huge amount of types of labeling supplies you can buy so get creative. You can get different colored pencils, different colored labels, stickers etc. Once you are sure you have enough supplies start labeling. You should label every box with the room they are from. The best way to label your boxes is by room. You can also label by importance or use both at the same time. 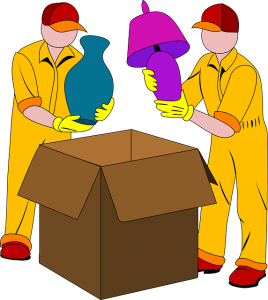 Be sure to label the boxes with breakable objects as fragile so you know you need to take extra care of them. This process will also help your unpacking. You will be able to unpack your new home in no time. Be sure you have an essential box. The essential box is a box you take with you, it contains as the name suggests things that are essential for your survival without your other items. You will place a change of clothes here, some food that does not spoil etc. If you forget to pack an essential box you will have to go through all your boxes which are a huge waste of time. When you hire movers you will not be able to go through your boxes mid-trip so you will need to replace these things. If you pack an essential box all these potential problems go away. In this box, you should also pack some hygiene-related items and unpacking supplies. This box will also help you make these first few days in your new home much easier. If you want to avoid all this effort and save some time you can always hire professional help. Professionals will do the job much faster which can be crucial if you do not have much time to pack. These people will know how much supplies they need so you do not need to worry. You can also be carefree about the safety of your items. Professional movers know how to save time when packing and avoid damage to your items. If you really do not want to label your boxes on your own movers can do that too. It is a bit more pricey but if you hire movers you will have a much easier move. Packing is the most tiresome job in the entire movie. Most people will think about packing when they mention moving. Some people even avoid moving because they are scared of packing. Do not be one of them, you will lose a huge opportunity that comes with moving. When you relocate you get a chance for a new life with a huge amount of opportunities. And if you follow these tips you will be able to save time when packing. This will make your relocation a piece of cake. We wish this article has helped you make that first step in your relocation a bit easier.